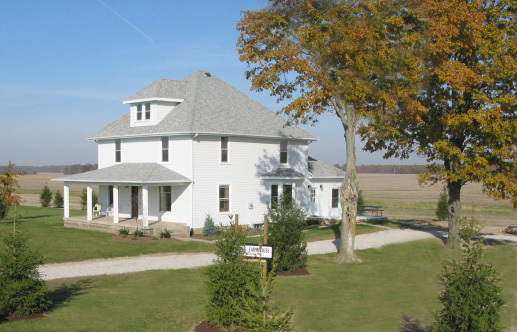 top-to-bottom renovation of the original homestead, Granny's Farmhouse was opened to guests in October 2008. 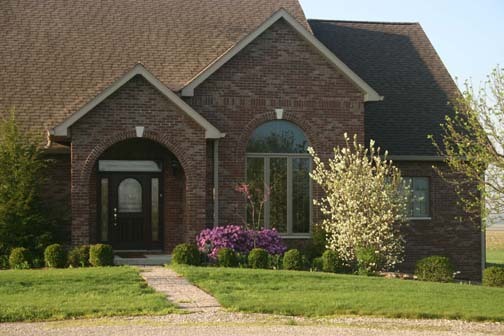 Granny's Farmhouse contains four spacious, well-appointed bedrooms, each with private bath and DISH TV. The common living and dining rooms feature original pocket doors, extensive dark wood trim and accents, and a large bay window with expansive views of the farm and the morning sunrise. With the deck, gas grill, large yard for outdoor activities, laundry, spacious kitchen, dining room and living room, Granny's Farmhouse is the perfect spot for whole-house extended stays and family reunions. Make Granny's Farmhouse the site of your next memorable event.